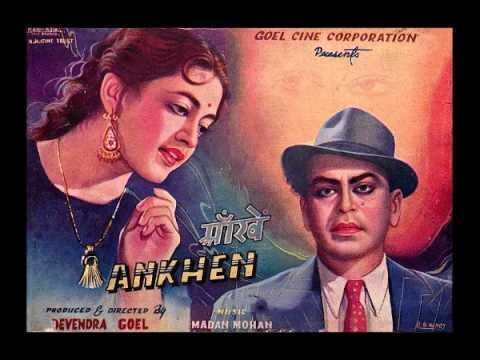 Aankhen (meaning The Eyes) is a 1950 Bollywood family drama film directed by Devendra Goel and starring Shekhar, Bharat Bhushan, Nalini Jaywant. A moderate box-office success, the film became the tenth highest earning Indian film of 1950, earning an approximate gross of Rs. 72,00,000 and a nett gross of Rs. 40,00,000. Mukesh was one of the playback singers.